This cute graphic organizer is a great addition to any bat unit! Use it as a precursor to your unit or in conjunction with a stellar read like "Stellaluna"! Included in this PDF is one black and white version of the KWL chart. 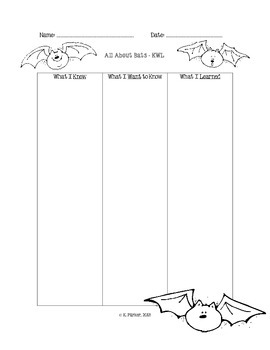 Get your students excited about learning with this batty graphic organizer!